Stuart Pritchard comes to the U. S., specifically Los Angeles, to find the woman of his dreams. He normally strikes out with women but feels like in America, he'd have better luck. Stuart is convinced that he needs to become a suave ladies man to win the heart of a beautiful woman. He feels a woman is the solution to his awkwardness. Each time he tries to meet a woman, he's awkward and uncomfortable as he tries on different personas looking for one that women will find attractive. Once in the club, he has a condom in his shirt pocket which is clearly outlined when a drink spills on him. 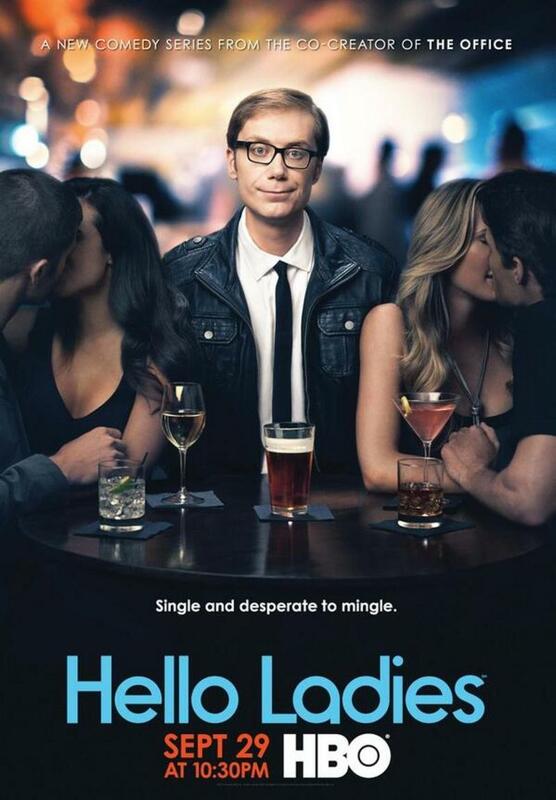 DVDs Release Dates is the best source to find out when does Hello Ladies come out on DVD and Blu-ray. Dates do change so check back often as the release approaches.